HALL OF FAMER!!! 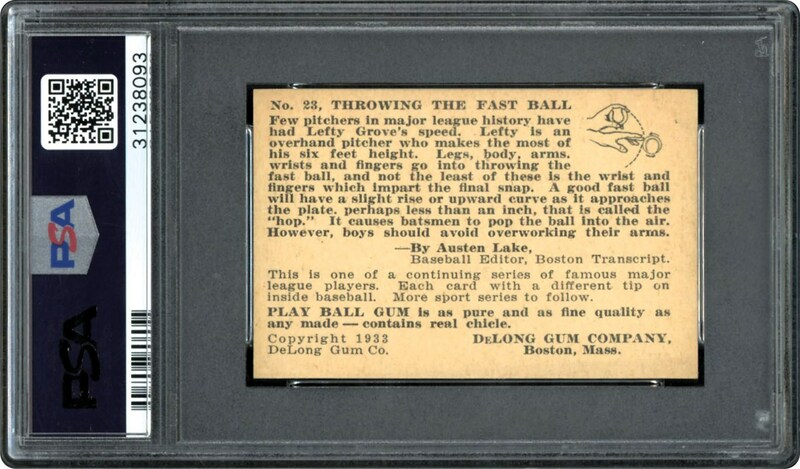 Lefty Grove on his 1933 DeLong card. 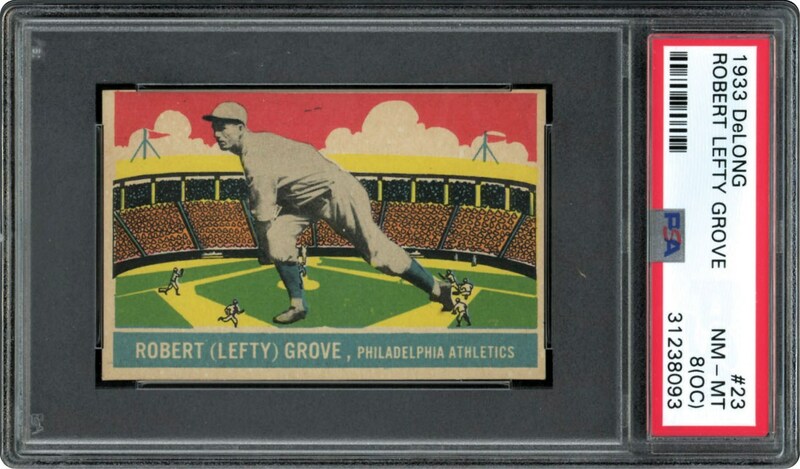 Offered in a PSA 8 (OC) holder. Great color one to own!! !